Dubai: Many expatriates in the UAE dream of becoming an instant millionaire one day. So, every month, they cough up a few hundred dirhams to bet on a combination of numbers in lottery draws. That life-changing dream came true for another Indian national on Wednesday night. Ravindra Boloor is the winner picked during the latest draw of Big Ticket Abu Dhabi, and he will be scooping up a mammoth Dh10 million prize in cash. The expatriate is the holder of ticket number 085524 that was bought last March 26. The winner is an Indian national based in Abu Dhabi. 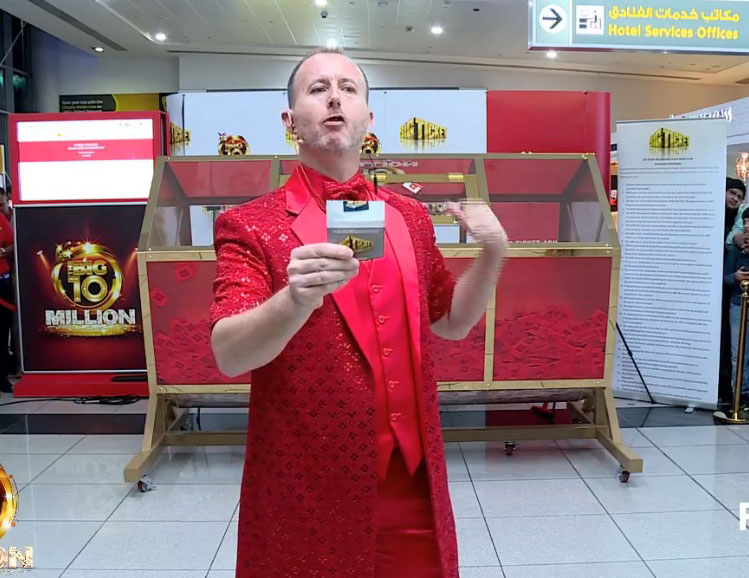 The Big Ticket draw was held at the Abu Dhabi Airport arrivals hall. The draw has already turned a number of UAE residents into multi-million-dirham millionaires. Organisers, however, have yet to speak to Ravindra. His daughter who answered the phone call from Big Ticket said the lucky expatriate is currently travelling in his home country, although he will be back later this month. "Call after one week. He is not reachable right now," the daugher calmly replied. Ravindra is expected to show up at next month's Big Ticket draw to claim the prize. Last month’s winner is also an Indian national, Rogy George, who hit the Dh12 million jackpot.